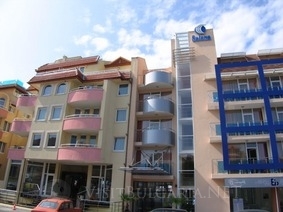 Location: Hotel Selena is situated 35 km south from Burgas airport, in the ancient town of Sozopol. It is unique located directly оn the golden sand and beautiful sea view. There are ancient finds nearby, beautiful nature parks and in Strandja mountain. Wine and dine: The restaurant of the hotel serves organic food, orientated to healthy nutrition. Y can taste delicious food in restaurant ”Selena”, in the coolness of the open summer balcony and the magic of the gorgeous sea view. The elegant lobby bar is the place for your refreshing cocktail or a cup of aromatic coffee, served in the cool hall or in the sunny terrace with a sea view. Sports and recreation: Hotel Selena offers an open air swimming pool with, children pool and modern sunny terrace. The professional staff will take care of your good mood in the cosy spa center. The moments of your personal calmnessе you can vary with playing billiard, chess or favourite reading from library of the hotel. During your holiday you can visit the old town of Sozopol with the preserved ancient houses, churches and art galleries. Meeting facilities: a fully air-conditioned, purpose-built business facility designed to meet all conference and event requirements for up to 60 delegates. Our experienced Conference and Banqueting team delivers high service to individual requirements, providing catering, from working lunches to cocktail receptions to lavish dinners.